A wonderful place to start (or continue) an unforgettable family tradition. 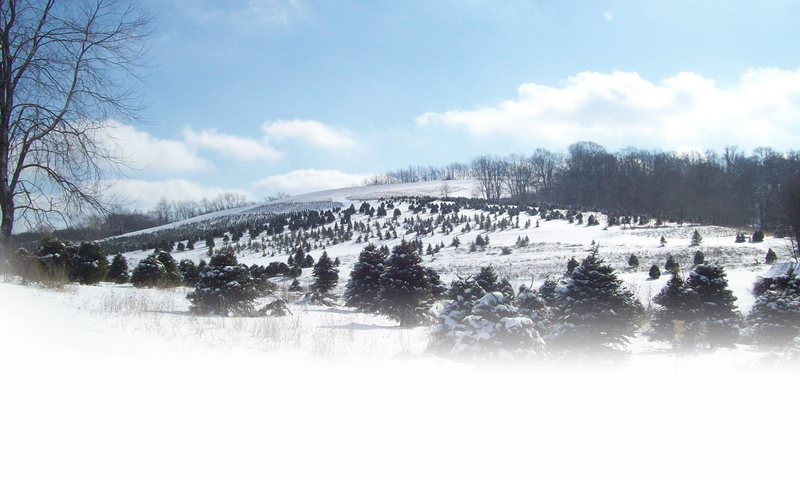 Every year, we would love for you to join us at our family owned choose-and-cut Christmas tree farm located in Washington, Pennsylvania, just south of Pittsburgh, to enjoy a wagon ride into our fields of thousands of pines and firs to select your one-of-a-kind tree. In the summer, we boast a bountiful pick-your-own blueberry patch – a delicious way to have fun. We have closed for tree sales for the 2018 season. We will be open this summer for Blueberry sales and we will reopen for tree sales on Black Friday in 2019! We are so thankful to all of our loyal customers that have made us their family farm over the years! We are doing all we can to make our growing trees fantastic to serve you even better in years to come! We are located 1/4 mile south of exit 11 off of I-70 On S-Bridge Road (Rt. 221) in Washington County. We open the Wednesday before Thanksgiving. We are closed on Thanksgiving. We reopen Black Friday at 10am for the season.